Pretty Green hits the festival circuit this summer in tandem with This Feeling and Pirate Studios. 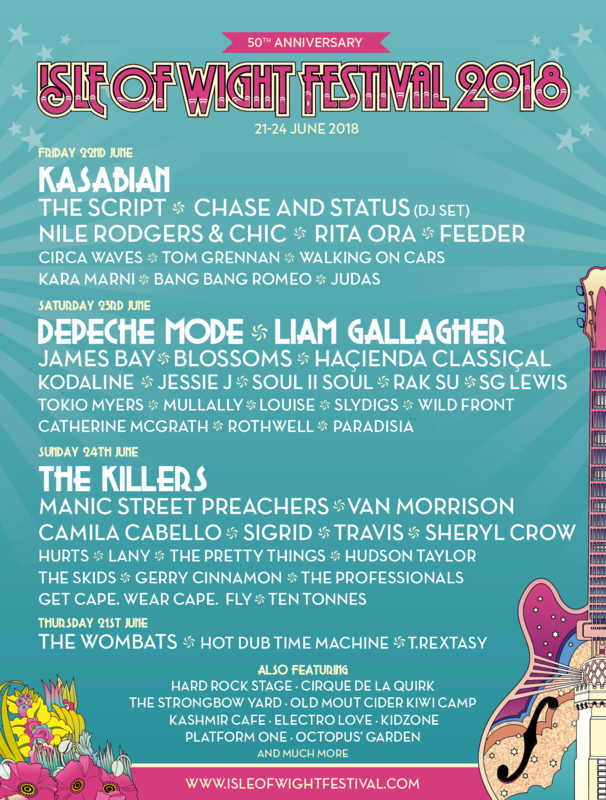 Blossoms, Catfish and The Bottlemen, and The Amazons, Slow Readers Club and many more were all given early leg ups by This Feeling, so, if it's seeing the best new bands first followed by DJs blasting Oasis, Roses, Kasabian, DMA's, Wolf Alice and more till late, this is the tent for you. 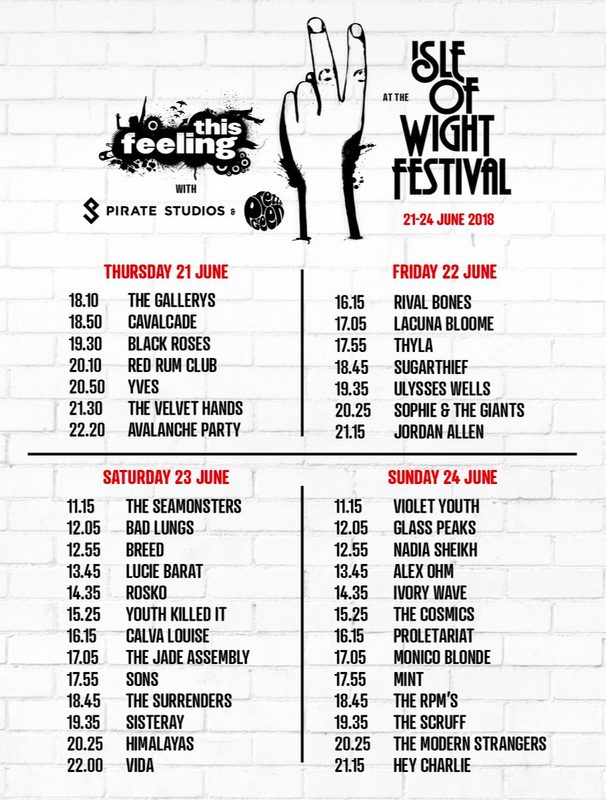 We are offering fans a chance to win a pair of tickets to attend Isle Of Wight Festival 2018. It’s really simple; all you need to do is enter your details below and we'll pull a winner at random on Wednesday 13th June. The winner will be contacted on Thursday 14th June. *Terms and Conditions: 1. Closing Date for entries is 23:59 13th June 2018. 2. Any entries received or processed after the closing date will not be accepted. 3. Only one (1) entry per person. 4. 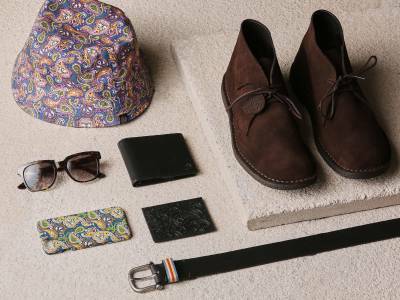 Pretty Green reserves the right, in its sole discretion and without prior notice, to withdraw, cancel, suspend or modify the terms of the offer. 5. Anonymous registrants will not be eligible for the offer. 6. The winner will be selected at random within one (1) days of the competition closing date and contacted by a member of Pretty Green team to redeem their prize. 7. Prize must be claimed within five (5) days of issue or will become invalid. 8. The prize is non-transferable and no cash alternative is available. Excludes all other costs and arrangements. The judges’ decision is final and no correspondence will be entered into. 9. 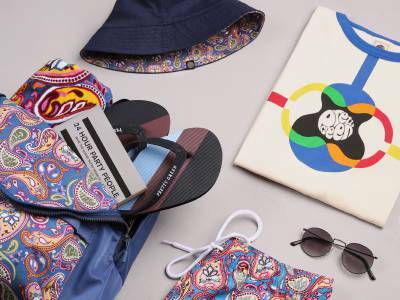 This competition is not open to employees of Pretty Green or any agencies directly connected with the creation and administration of the promotion.